My roommate was given a lovely bit of juniper from Turkka Aaltonen (the Finnish equivalent of Ray Mears) after a week learning bushcraft skills with him. He told us that if you want to make a woman fall in love with you, simply put a branch of juniper on the fire when she is with you. And the beautiful aromas released from the wood will make her fall for you. 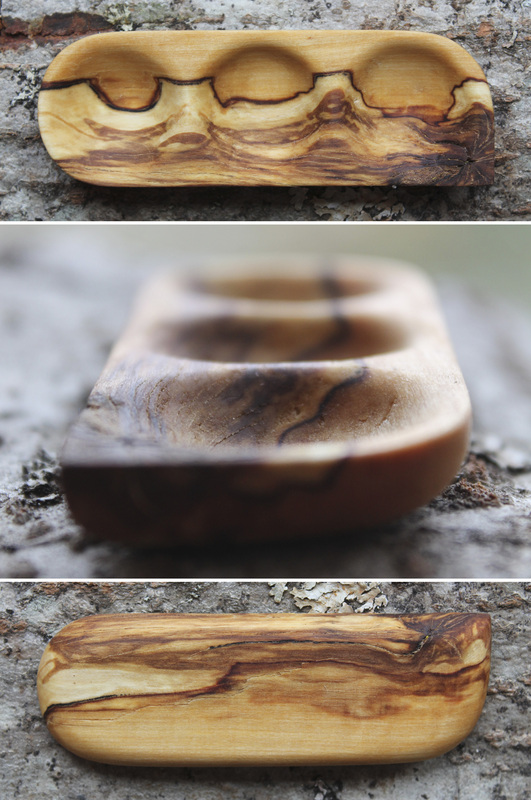 I used some of this magic wood for this little spoon. So maybe, if you use this spoon for making a cup of tea, it might just have the same effect on the drinker. Just be careful who you make the tea for! 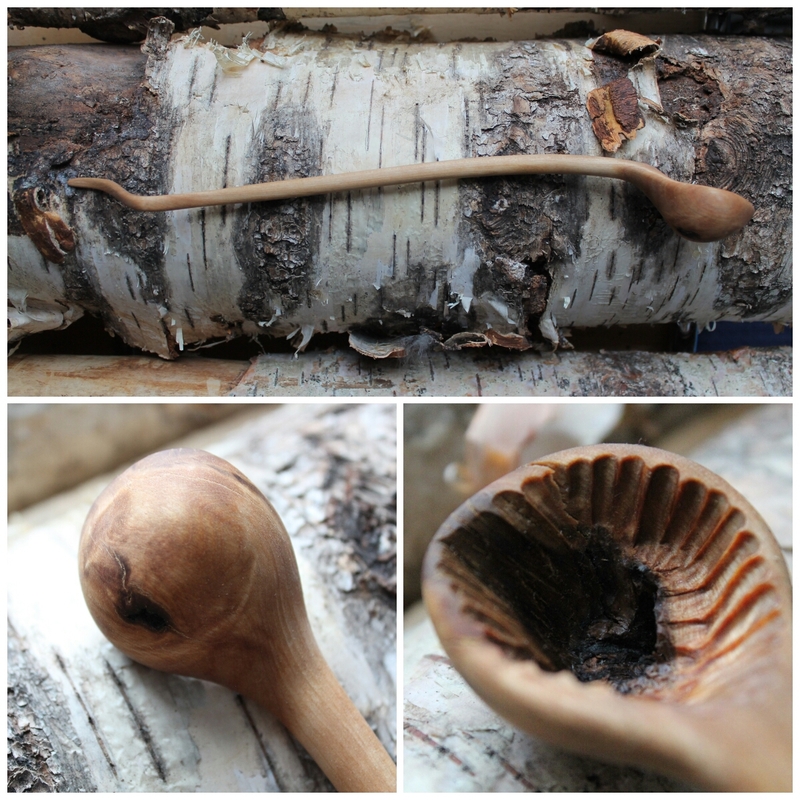 Spoon 7 of 52 – The Long Wavy Tea Spoon in Silver Birch. Usually I am obsessed with drawing out the spoon and making it as symmetrical as possible. I tried a different approach on this one. Whilst splitting some fire wood the other night I noticed a split with a lovely curve and bulbous knot, looked like perfect spoon material. So for this one I didn’t draw anything. I just got my knife and went with the flow of the grain and knots in the wood – not letting myself to get obsessed with the symmetry or the small details. The head nearly cracked off because there’s and knot running right through it. Instead, there’s a little hole in the bottom, good for draining tea bags maybe. Think I’ll stick to my usual approach for most of my future spoons but pretty happy with the result. Just realised I didn’t post my spoon from last week. I did make it last week, honest. I wasn’t intending on this being the 6th spoon. I started it about 5 months ago, not finishing it and leaving it on my windowsill. I thought I would finish it this week and keep it as a ‘backup spoon’ in case I was too busy. Turns out I wont have time to make another one this week, so this one slyly crept in there. It looked nothing like this at the start of the week because I snapped most of the head off by accident. 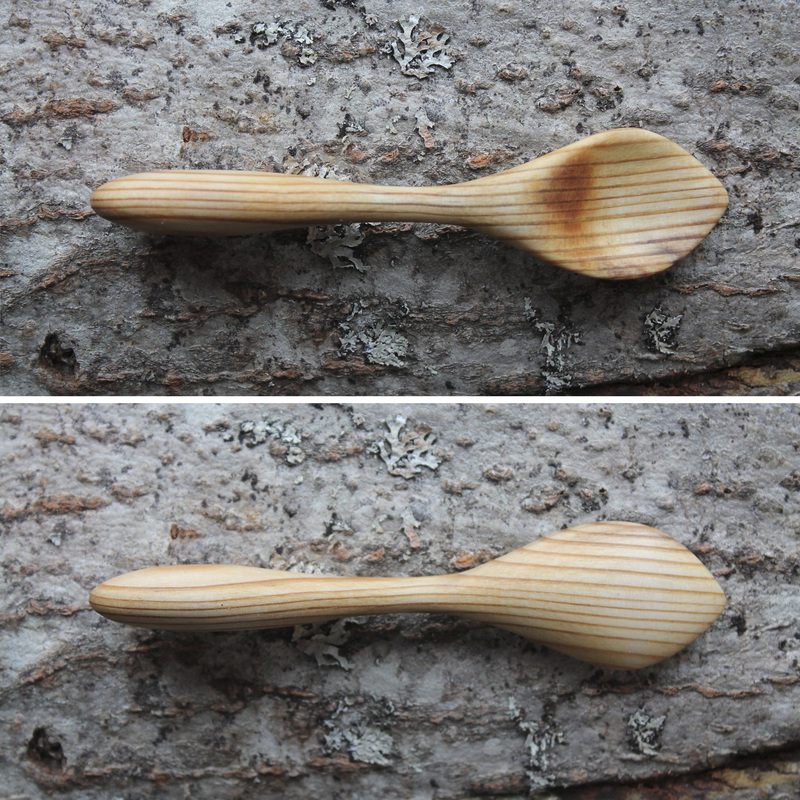 The spoon head was originally made using an ember from the fire. 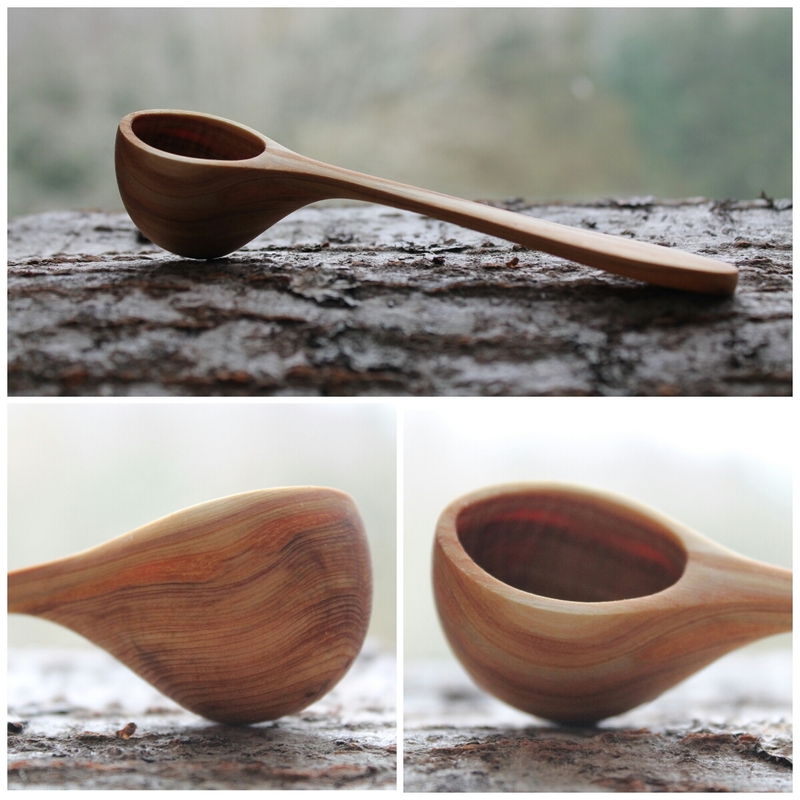 To do this you simply put the ember where you want the depression to be and blow on it till the concave spoon shape forms. You can still see some discoloration in the base of the spoon head from this. Not sure how I feel about this spoon, but here it is.